first star versus Les Aigles Bleues. Paced by a four goal outburst in the third period, the U de M Aigles Bleues defeat the Tommies 5 to 0. The Dalhousie Memorial Arena has not been kind to St. Thomas this season, as STU has not scored here in over 6 periods of play. Moncton out shot the Tommies 48 to 19 this evening. Johannie Thibeault lead Moncton with four points. 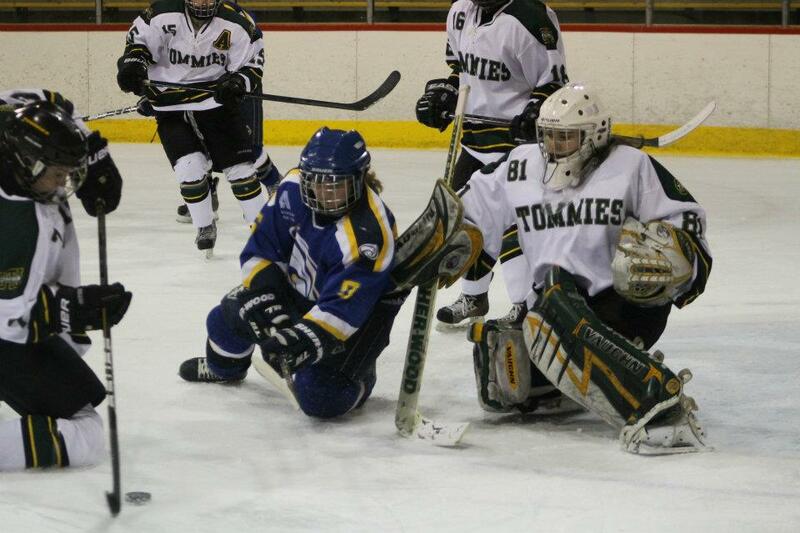 Julia Sharun was her usual brilliant self in net and was the Tommies player of the game. STU will need to have a real good gut check tonight and put this game to rest, refocus, and prepare for Mount Allison tomorrow night at 7 PM. Let's Go Tommies!